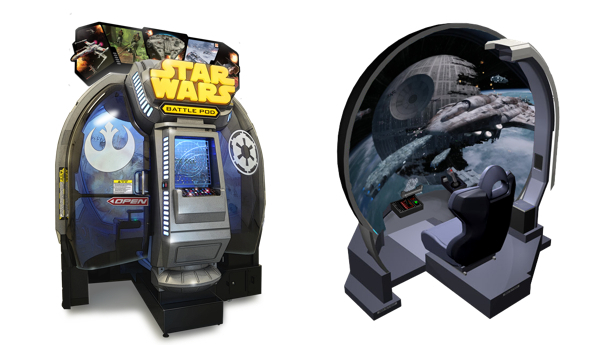 Try Out The Star Wars Battle Pod At GameStart 2015 Singapore! 2015 is definitely a Star Wars year. We’ve got Star Wars: The Force Awakens coming to cinemas at the end of this year, charming BB-8 droids being sold at Toys “R” Us, the release of Star Wars Battlefront that got gamers everywhere stuck to their consoles and PCs when the Beta came out — the force is definitely strong with this franchise. 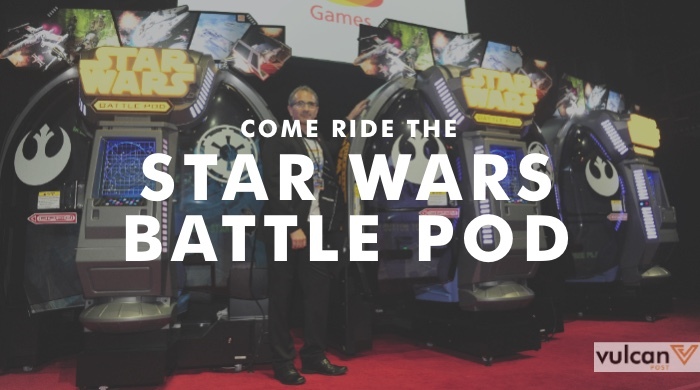 And local online geek culture magazine Geek Culture announced yesterday at the GameStart Asia media preview that they’ll be bringing in what would probably be one of the main highlights at the annual game conference: the Star Wars Battle Pod. It’s the first Star Wars arcade game in years, and the “pod” part of its name refers to the “panoramic optical display” that surrounds the player when they climb into the machine. This allows for an even more immersive gameplay experience, as they zip through Endor on speeder bikes, zoom through space in an X-wing, or pilot snow speeders on the surface of Hoth — choose your poison. Besides a panoramic cockpit display, there will also be vibrating seats and gusts of air that are blasted at the players while they pilot certain vehicles, making the experience seem even more authentic. As the pod will be the only one available at GameStart, expect long queues and also to pay a small fee to have your turn at this special experience — the team invested some money in transporting the pod around. “As the machine is pretty massive, we had to work and enquire with a few logistics companies to see if anyone had the expertise and equipment (a truck with hydraulics) to transport the pod.​ We will be moving this and putting it together by ourselves,” he added. What’s interesting though is the pods are actually available for purchase for ​regular people like you and I, and it also has a stunning Darth Vader edition. But first, you’d need to find the space to actually house the Battle Pod at home…and lots and lots of money. 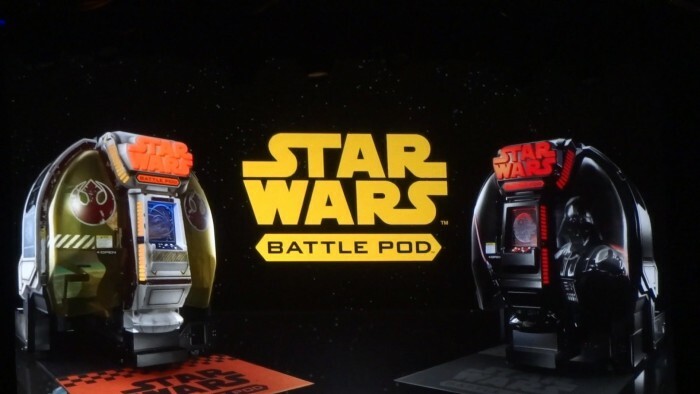 Namco Bandai will be making the battle pods available for purchase in the U.S. and Europe, where the standard cabinet will sell for US$35,000, while the premium version will set you back US$100,000. Just a reminder: shipping is not included, and orders start next month…if you’re interested and have loads of spare change. But if not, we guess you have to beat us at the queue at GameStart to try this impressive machine out. GameStart Asia 2015 will be happening 13 – 15 November at the Suntec Convention Centre.